Let’s have a Duff with Homer J. Simpson! If I could pick any fictional character out of any tv series, book, movie, to have a beer with, I would easily pick Homer Simpson. Because of the Simpsons, Duff beer has become a well known brew in every beer drinking household, even though it is fictional. But Simpson fans rejoice! Universal Studios is coming up with the ultimate Simpson’s experience. Read below to find out more! The expansive, new area within Universal Studios will be anchored by the mega-attraction, The Simpsons Ride, and will allow guests to enter the world of The Simpsons like never before. It will be the only place in the world where guests can walk the streets of Springfield. It will include a brand-new outdoor attraction, places and foods pulled right from the show and two new Simpsons characters who will make their debut with the new area – Krusty the Clown and Sideshow Bob. And yes – there will be Duff Beer, brewed exclusively for Universal Orlando. 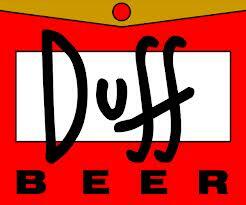 Can’t get enough of that wonderful Duff!